BuickIt’s a Buick and it’s a wagon. I grew up in a Buick station wagon – an Estate wagon, to be precise. It was the large-and-in-charge suburban family hauler before SUV sent wagons into near-extinction, leaving surviving examples to be gently nurtured by car writers with a thing for sedan handling and decent cargo capacity. One can still find wagons for sale, even as full-size SUVs and compact crossovers dominate the US markets. The Subaru Outback will probably never vanish from this realm, and Volvo’s V90 is a nice, big wagon that we enjoyed when we tested it last year. The Volvo V60 Cross Country and Audi Allroad are also in the fight. And now, a wagon joins the party. It’s actually a proper European estate (that’s what they call wagons across the pond – they call sedans “saloons,” too, those nutty Euros), sharing a platform with the Opel Insignia. 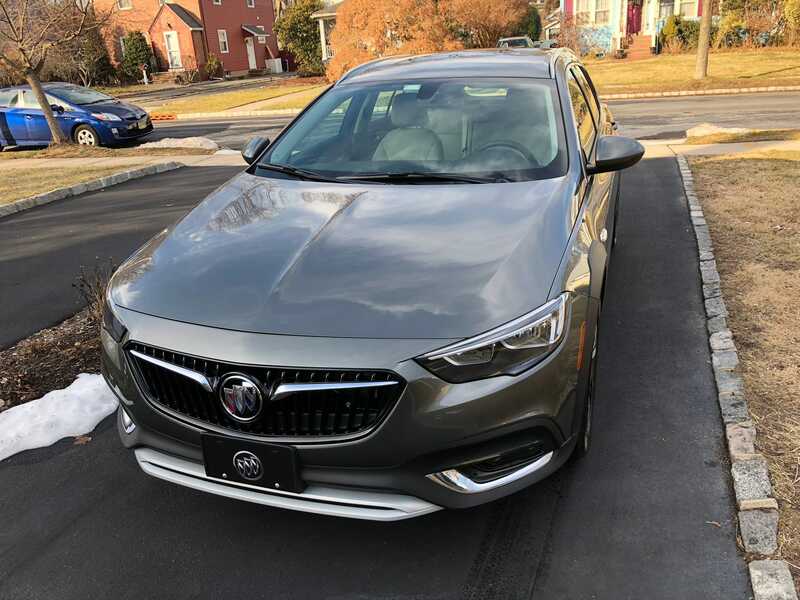 Buick let us borrow a 2018 TourX with all-wheel-drive in the “Essence” upmarket trim level, tipping the price scales with numerous options at just north of $US40,000. I drove it around the Manhattan island and through the ‘burbs of New Jersey for a week. And a good week it was. Normally, I’d start with the Buick tri-shield badge and work my way back, but this time around, we’ll begin with the almost comically capacious cargo area. Drop the rear seats and you have a small pickup truck, with over 70 cubic feet of space. 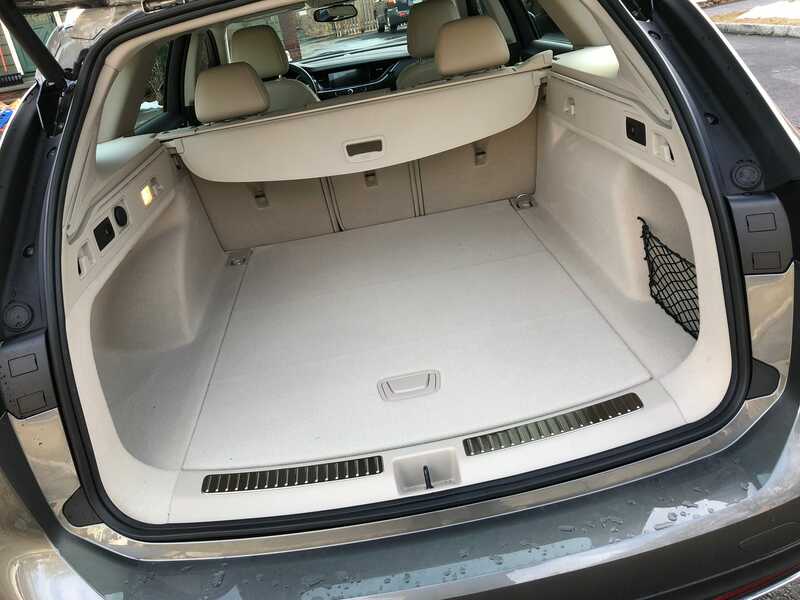 With the rear seats up, the area is still vast, at over 30 cubic feet. I have the hauling needs that three children, one wife, and one dog create, and I couldn’t come up with anything the TourX couldn’t handle. Buick argues that the low-slung wagon will be superior for sporting-lifestyle duty than a higher-riding crossover. Mount a roof rack and you’ll be better able to hoist bikes, skis, etc. on and off. Makes sense, but the TourX isn’t exactly a rugged-looking ride. Truthfully, its elegance and chic evoke Buicks of yore, with sleek surfaces and pleasing curves here and there. Our tester was stunning in a Smoked Peal Metallic paint job, with a Shale leather interior. The 250-horsepower, turbocharged four-banger can propel the Buick wagon from o-60 mph in about 6.5 seconds, while the eight-speed automatic helps post 24 mpg combined (21 city/29 highway). An auto shutdown/restart at idle might annoy some drivers, as it can’t be deactivated. But it bumps up fuel economy and reduces emissions. For a vehicle of decent size, the TourX offers moderately crisp handling and some pep off the line, as well as steady and quiet freeway cruising with ample passing power. You could give the TourX a push and it would probably respond happily, but its natural desire is to be smoothly piloted with one-hand on the wheel, just like it’s 1978 again. Tech-wise, the TourX is like almost every other vehicle in the General Motors fleet. The Intellilink skinning of GM’s excellent infotainment system runs off responsive touchscreen that while not large isn’t dinky, either. Bluetooth connections are a snap, and with OnStar 4G LTE wifi connectivity on board, you can run seven devices without sucking any wireless data from your plan. You have AUX and USB ports for devices, Apple CarPlay and Android Auto, and in the case of my tester, a tasty Bose audio system with SiriusXM satellite radio. My final impression of the TourX is that it’s a great option for stylish suburbanites who will like the cargo capacity and the big back seat for kids. This demographic is supposed to buy SUVs, but if you don’t like to ride high and truck-like, then wagons continue to be a dandy alternative. 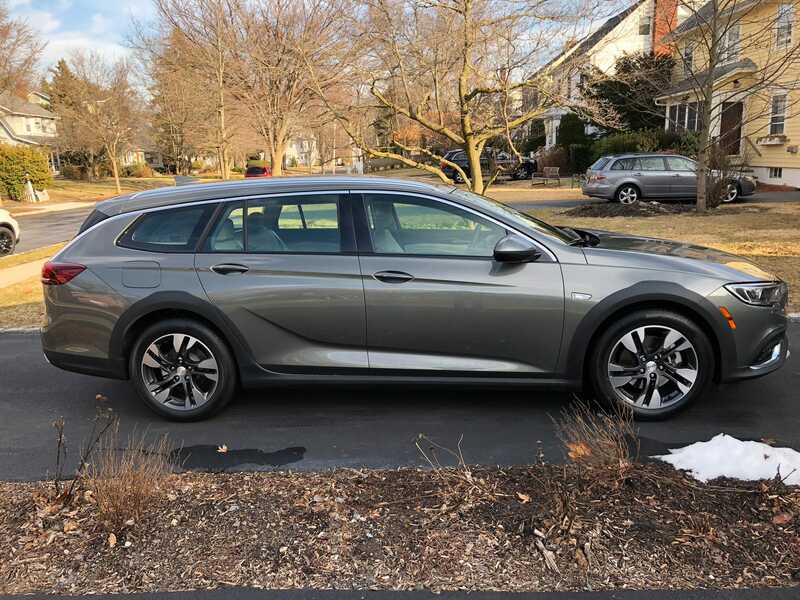 And with the Buick Regal TourX, you have a handsome newcomer that’s as suited to a night on the town as it is for runs to the beach or the lake.